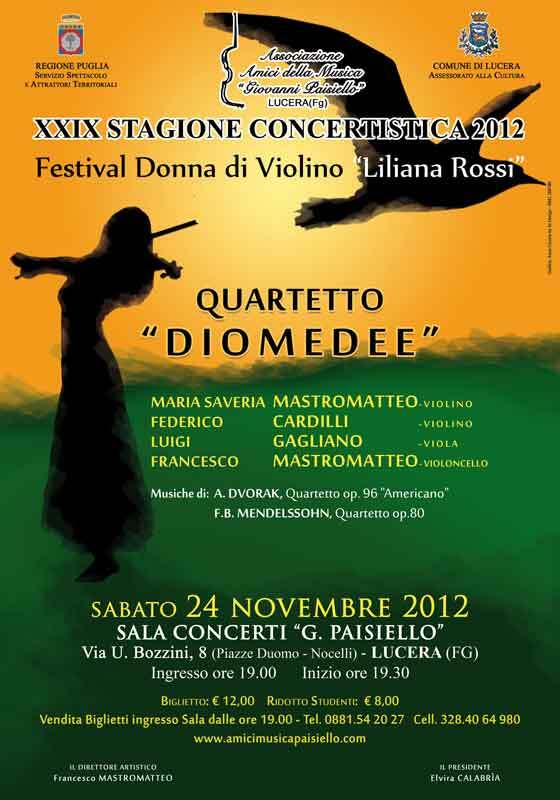 Francesco Mastromatteo (DMA ’12) has joined the string quartet Quartetto “Diomedee” based in Foggia, Italy. Francesco maintains his positions as Artistic Director of the Associazione Amici della Musica “G. Paisiello” in Lucera, Italy and as Concert Series Director of Classical Music for the World in Austin, TX. Francesco returned to Austin in October 2012 to perform solo (Schumann’s Cello Concerto in A minor) with the Balcones Community Orchestra.